Why is my brake light staying on? This one of those things that can drive you nuts. 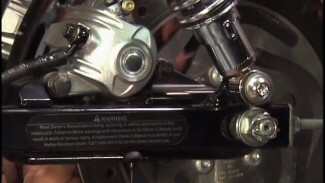 Bob reviews a common problem that can accrue when you are working in the switch housing area of your motorcycle. Time, patience and maybe a new brake light switch can show you how to fix a motorcycle brake light switch. 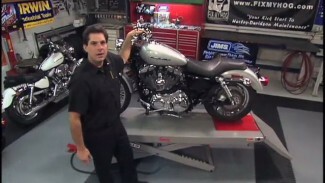 Bob also shares how to test a Harley brake light switch near the exhaust in a related video. We also show you how to replace the switch in the housing in this video. On the video about brake light switch you failed to mention the wedge piece that holds the switch out!!! Pretty important! I’m dissapointed, an makes me wonder about the accuracy of your videos!!! this is a great video. he is clear concise and great video to be able to see what is going on. thank you. The comment that “these components do not fail under normal usage” is totally wrong. The 1996-up brake light switches break ALL THE TIME. And this video shows everythng EXCEPT how to actually replace the broken switch, which is the hardest part of the job. Not a very good video, since it does not accomplish what the title claims. If your free stuff is this lame, how do you expect people to sign up for the stuff you charge money for? Very good video. Exactly my problem. The brake light was on all the time. I added a little epoxy to the end of the lever where it touches the button.